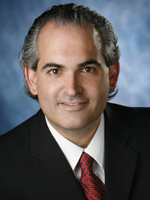 UNMC › Pathology and Microbiology › Faculty › Bios › Dominick J. DiMaio, M.D. Duvic M, Helekar B, Cho M, DiSepio D, Hager C, DiMaio D, Hazarika P, Jackson B, Breuer-McHam J, Clayman G, Chandraratna R, Nagpal S. Expression of a retinoid inducible tumor suppressor, tazarotene inducible gene-3, is decreased in psoriasis and skin cancer. Clin Cancer Res 6(8):3249-3259, 2000. Sant' Ambrogio S, Connelly J, DiMaio D. Minocycline pigmentation of heart valves. Cardiovasc Pathol 8(6):329-332, 1999. DiMaio DJ, Cohen PR. Trichilemmal horn: case presentation and literature review. J Am Acad Dermatol 39(2):368-371, 1998. Pisarska MD, Casson PR, Moise KJ Jr., DiMaio DJ, Buster JE, Carson SA. Heterotopic abdominal pregnancy treated at laparoscopy. Fertil Steril 70(1):159-160, 1998. DiMaio DJ, Cohen PR. Incidental focal acantholytic dyskeratosis. J Am Acad Dermatol 38(2):243-247, 1998.